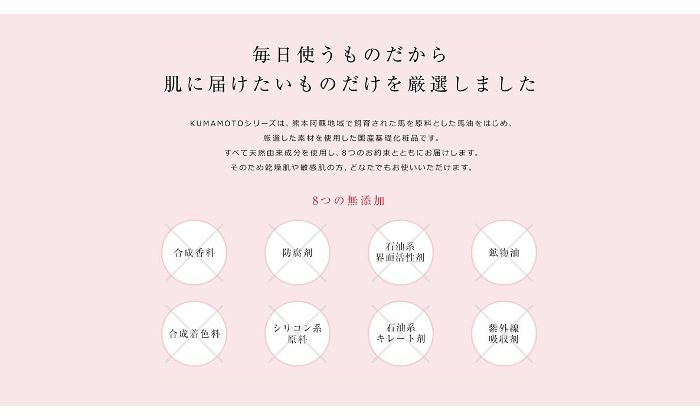 The face lotion includes lots of excellent nutritional ingredients, such as horse placenta extract, fermented soy milk solution, sato-zakura flower extract, and oligopeptide, for maximum effect on beautiful skin. 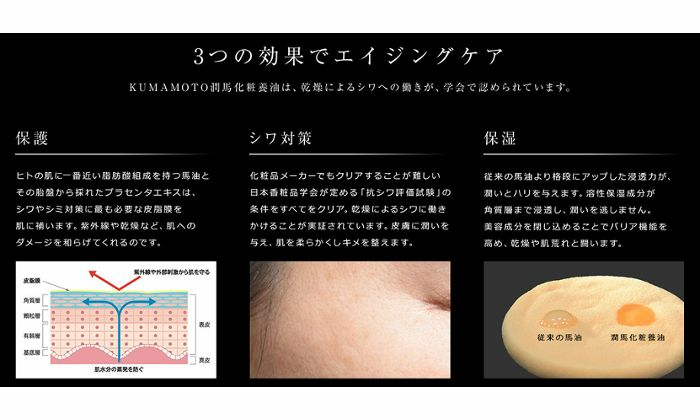 The ingredients have high affinity with the serum and accelerates the moisturizing process. This allows not only for the moisturizing treatment of the dermis, but improves skin appearance by restoring tone and elasticity. Put the proper amount on the palm of your hand, and spread the product out evenly by pushing into it. This product was created with women's skin in mind, using traditional horse oil as its base. 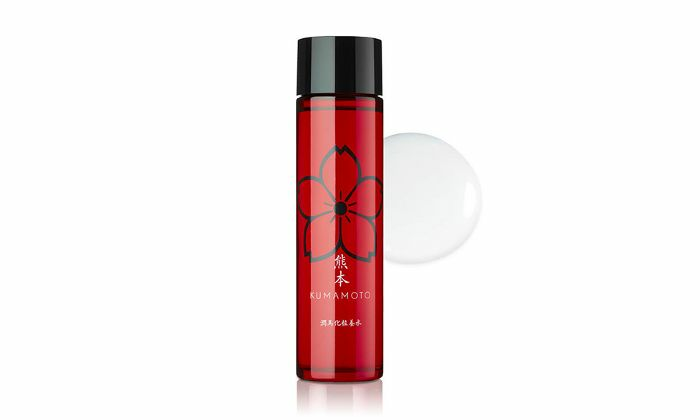 The product uses 100% Kumamoto made, highly purified horse oil, which dwarfs conventional oils in comparison. Look and feel great, and uncover your unique charm that can't be replicated by imitators' products. The big three for anti-aging care: "Protect," "Fight Wrinkles," and "Moisturize"
As the product uses all-natural ingredients, it's perfect for those with dry or sensitive skin. Preparation, moisturization, and protection -- the three steps to beautiful skin. I really like this cream because of the fragrant and delicate scent of anyone at hand. not sticky on the skin. my skin is always moist and young. now my skin is getting pretty and radiant. thank you Cosmeria, the best and high quality sample.